My name is Shaun Vermaak and I have always been fascinated with technology and how we use it to enhance our lives and business. 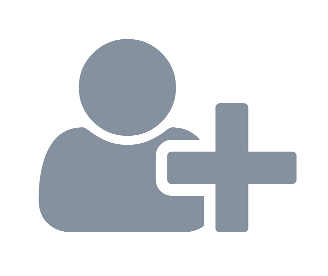 If the Help Desk supports SharePoint environment, a delegation group with certain SharePoint rights can be created and assigned to the Help Desk role group. 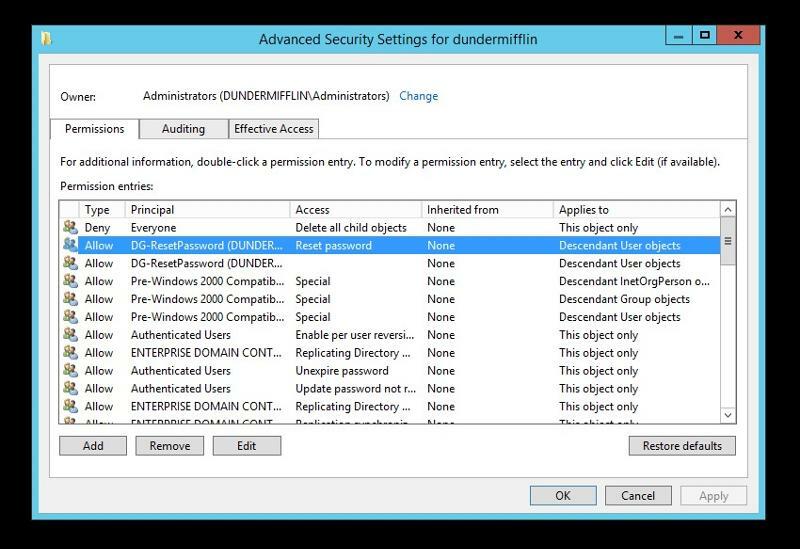 This way when a new Help Desk employee starts, it is only required to add a user account to the Help Desk Role group. By utilising this delegation process, all delegation done to role groups is easily visible from the Member Of tab. In the example below, it is easy to see that the role group for Help Desk, RG-HelpDesk, have join domain, modify group and reset password rights. 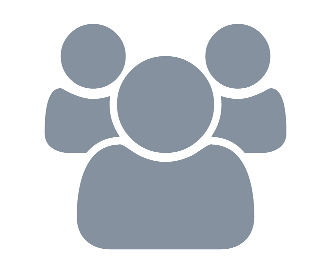 It also enables the reuse of delegation groups. 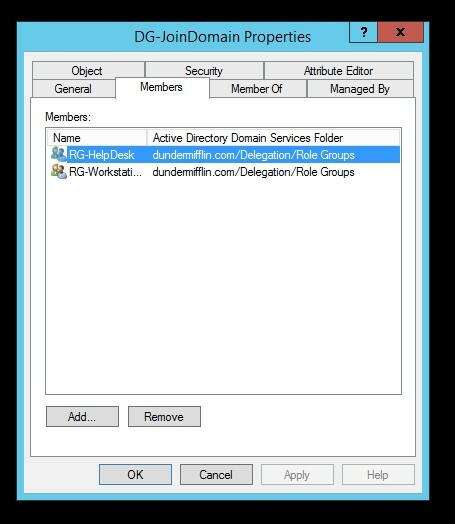 In the example below, the same delegation group used for Help Desk, DG-JoinDomain, can be used to assign join domain rights to the Workstation Technician group. The reverse is also true. It is quick to see which groups have a particular permission. 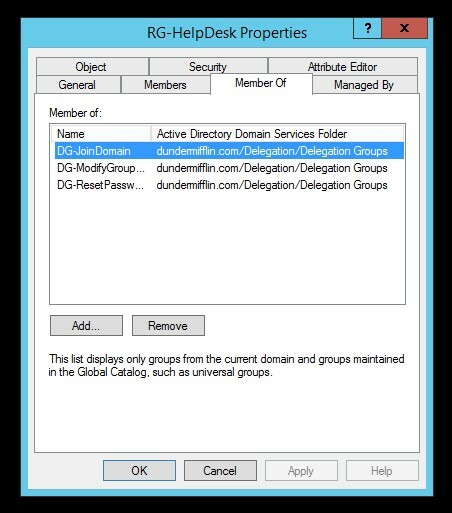 In the example below, looking at the members of the DG-JoinDomain delegation group, it shows which role groups, RG-HelpDesk and RG-WorkstationTechnician in this case, have permissions to join computers to the domain. Description = "Create, delete, and manage user accounts"
Description = "Reset user passwords and force password change at next logon"
Description = "Read all user information"
Description = "Create, delete and manage groups"
Description = "Modify the membership of a group"
Description = "Join a computer to the domain"
Description = "Manage Group Policy links"
Description = "Generate Resultant Set of Policy (Planning)"
CONTROLRIGHT= "Generate Resultant Set of Policy (Planning)"
Description = "Generate Resultant Set of Policy (Logging)"
CONTROLRIGHT= "Generate Resultant Set of Policy (Logging)"
Description = "Create, delete, and manage inetOrgPerson accounts"
Description = "Reset inetOrgPerson passwords and force password change at next logon"
Description = "Read all inetOrgPerson information"
Description = "Create, Delete, and Manage WMI Filters"
Description = "Create an Organizational Unit"
Description = "Delete a child Organizational Unit"
Description = "Delete this Organizational Unit"
Description = "Rename an Organizational Unit"
Description = "Modify Description of an Organizational Unit"
Description = "Modify Managed-By Information of an Organizational Unit"
Description = "Delegate Control of an Organizational Unit"
Description = "Create a group"
Description = "Delete a child group"
Description = "Delete this group"
Description = "Rename a group"
Description = "Specify the Pre-Windows 2000 compatible name for the group"
Description = "Modify the description of a group"
Description = "Modify the scope of the group"
Description = "Modify the type of the group"
Description = "Modify notes for a group"
Description = "Modify group membership"
Description = "Specify Managed-By Information of a Group"
Description = "Create a computer account"
Description = "Delete a child computer account"
Description = "Delete this computer account"
Description = "Rename a computer account"
Description = "Disable a computer account"
Description = "Reset a computer account"
Description = "Specify the computer's description"
Description = "Specify Managed-By information for a computer account"
Description = "Specify that a computer account be trusted for delegation"
Description = "Create a user account in disabled state"
Description = "Create a user account"
Description = "Delete a child user account"
Description = "Delete this user account"
Description = "Rename a user account"
Description = "Disable a user account"
Description = "Unlock a user account"
Description = "Enable a disabled user account"
Description = "Reset a user account's password"
Description = "Force a user account to change the password at the next logon"
Description = "Modify a user's display name"
Description = "Modify a user account's description"
Description = "Modify a user's office location"
Description = "Modify a user's telephone number"
Description = "Modify the location of a user's primary web page"
Description = "Modify a user's UPN"
Description = "Modify a user's Pre-Windows 2000 user logon name"
Description = "Modify the hours during which a user can log on"
Description = "Specify the computers from which a user can log on"
;Description = "Set User cannot change password for a user account"
Description = "Set Password Never Expires for a user account"
Description = "Set Store Password Using Reversible Encryption for a user account"
Description = "Set Smart card is required for interactive logon for a user account"
Description = "Set Account is sensitive and cannot be delegated for a user account"
Description = "Set Use DES encryption types for this account for a user account"
Description = "Set Do not require Kerberos pre-authentication for a user account"
Description = "Specify the date when a user account expires"
Description = "Specify a profile path for a user"
Description = "Specify a logon script for a user"
Please do not forget to press the "Thumb's Up" button if this article was helpful and valuable for EE members. It also provides me with positive feedback. Thank you!